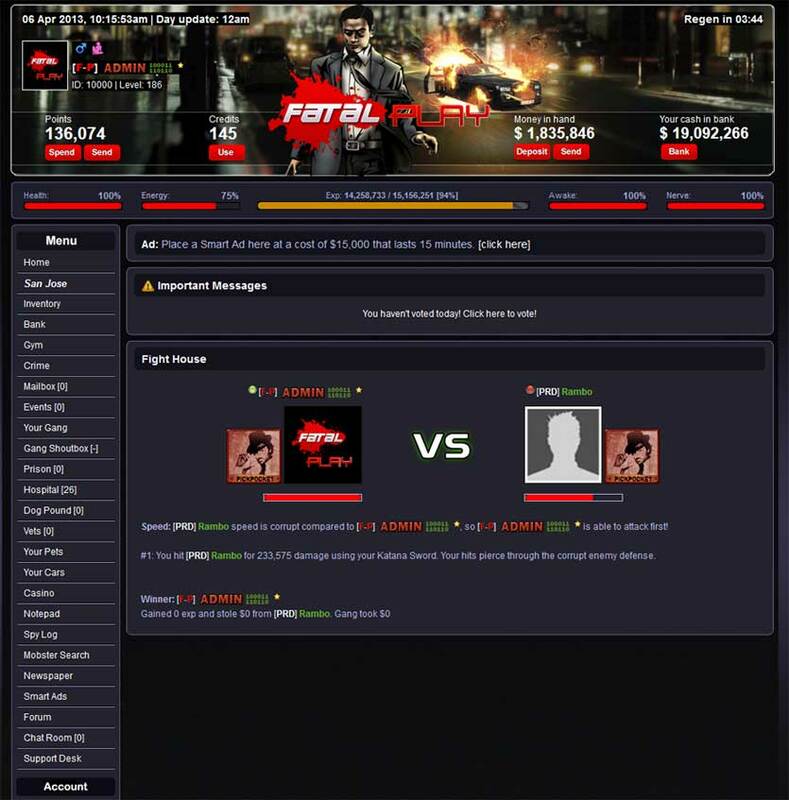 FatalPlay is a FREE MMORPG that will take you through the life of a Mobster. 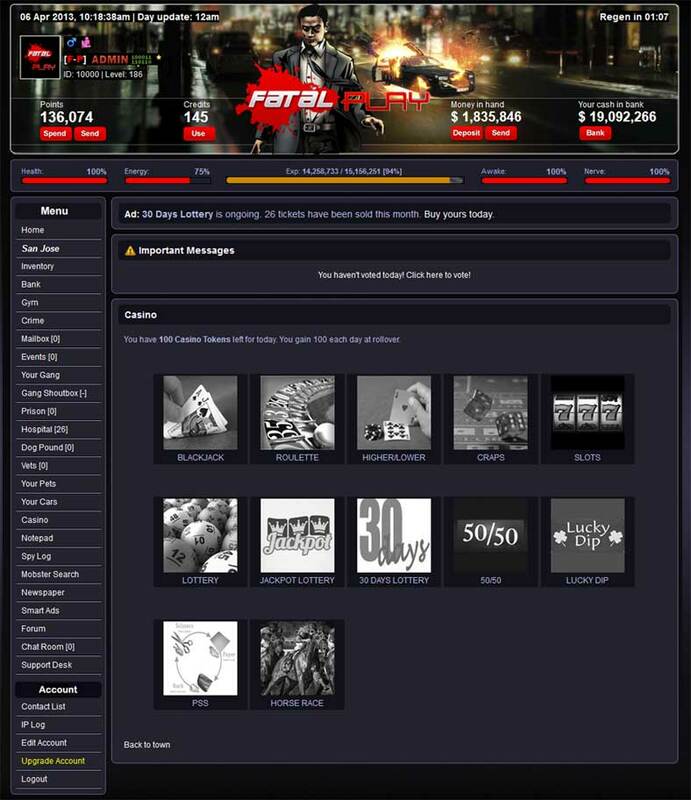 Your rise to the top of the mafia world will not be easy, you will face other mobsters that will be just as willing to fight, mug and forge gang alliances as they look to climb to the top of the social ladder. Commit crimes, gamble in the casino, do missions and take out everyone that stands in your way to the top! 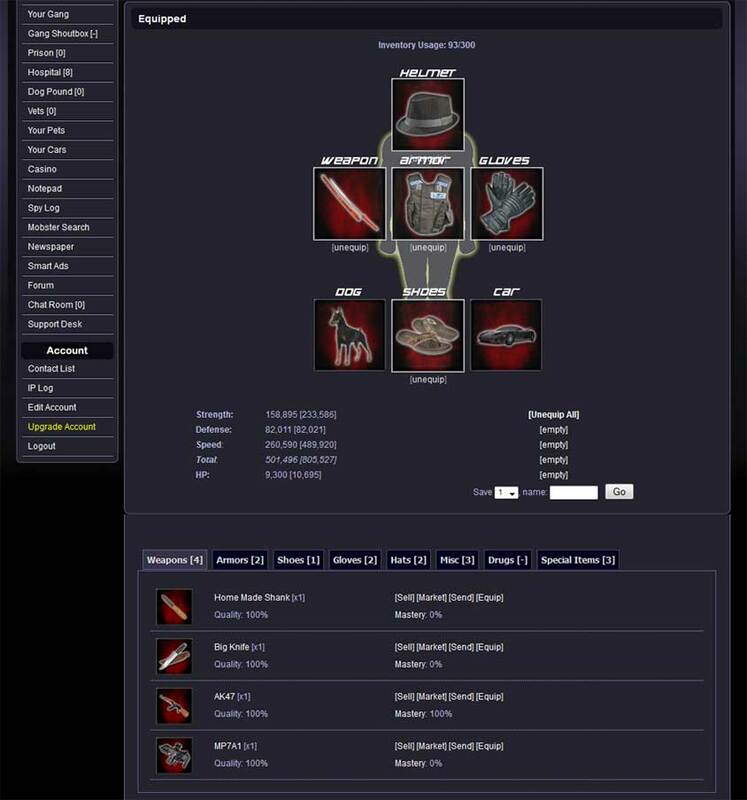 Currently there are 2,725 Mobsters in the world with 0 active now!